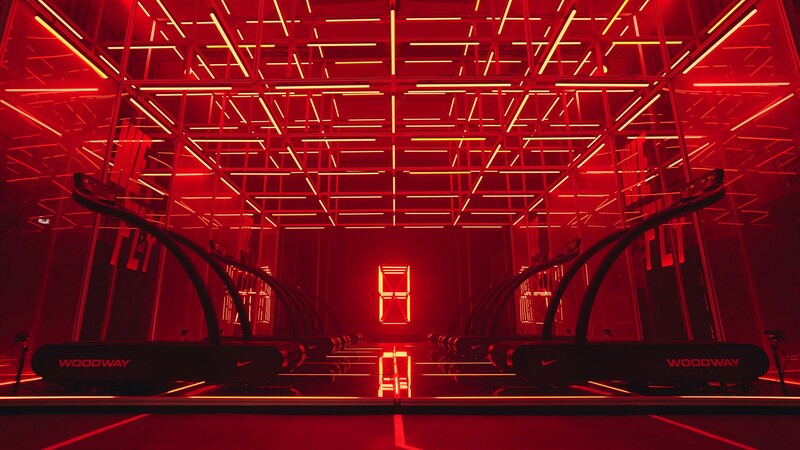 NIKE FAST LAB – experience the breaking2 pace. 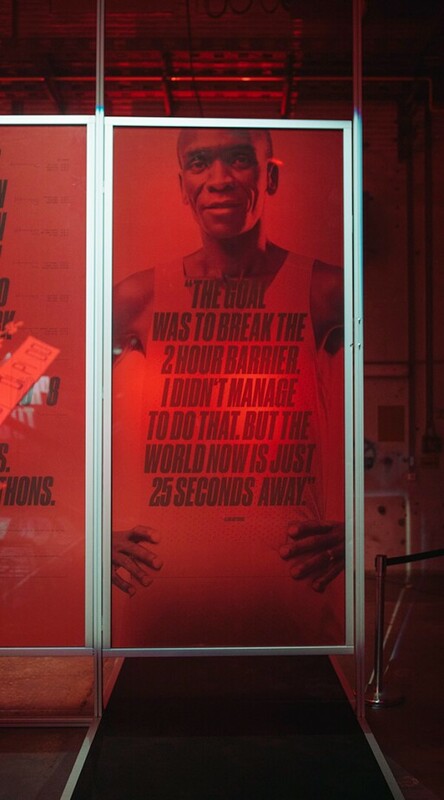 Breaking2 - Nike Running and the world´s fastest marathon athlete, Eliud Kipchoge, joined forces on this project to make him the first human to run the marathon distance in less than 2 hours. 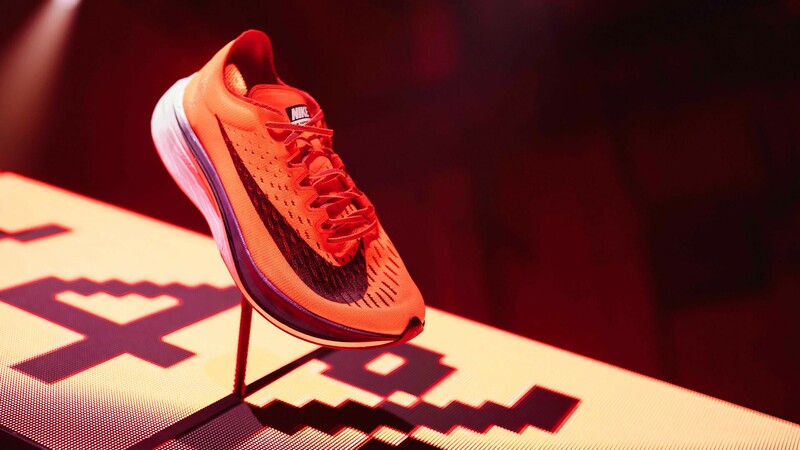 Besides extensive and streamlined training methods, Nike developed a running shoe specially designed and 3D-printed for this purpose, based on exact analysis of Eliud’s body and running characteristics. This was supposed to make Eliud 4% faster. He unfortunately missed the 2 hours threshold by a mere 25 seconds but ran with an average pace of over 21 km/h and delivered the fastest time ever over the full marathon distance. 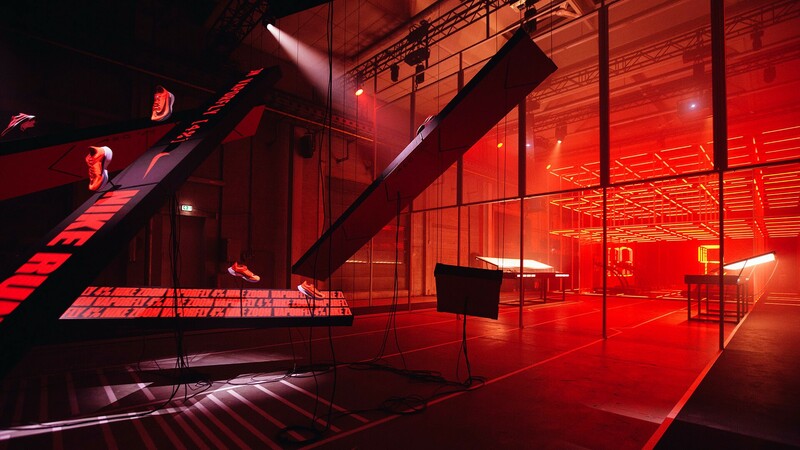 For the official release of Eliud´s shoe, the vapormax 4%, in cooperation with our friends at Sunst Studio, we had the chance to develop an interactive running experience in an abandoned warehouse in Berlin-Kreuzberg. 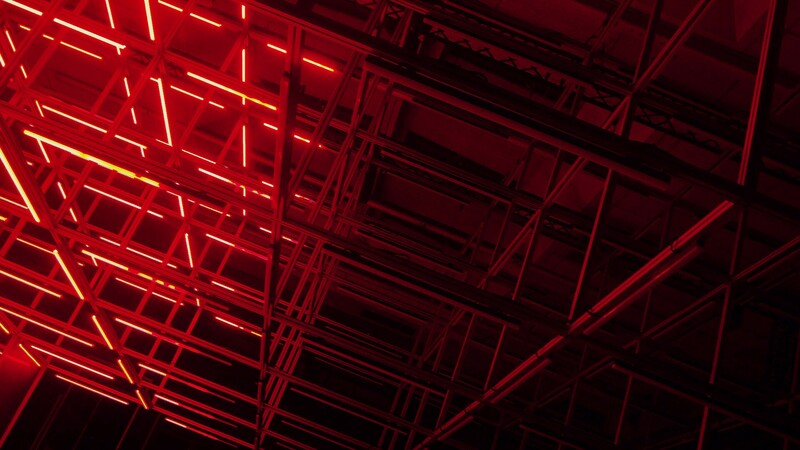 A massive LED grid cube formed the main piece. It housed eight treadmills, which we modified and synchronized with a custom software application, that enabled people to experience what Eliud’s marathon pace feels like. We developed an interaction scenario in which one could try to keep up with Eliud’s avatar over the last 800 meters of his record run. 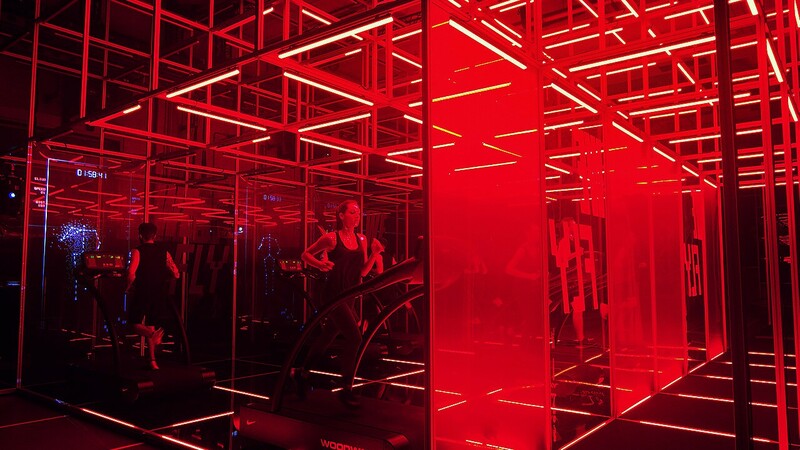 We made it a joint experience for eight athletes at a time, taking place inside the grid cube, with reactive light and visuals enhancing the immersive effect. 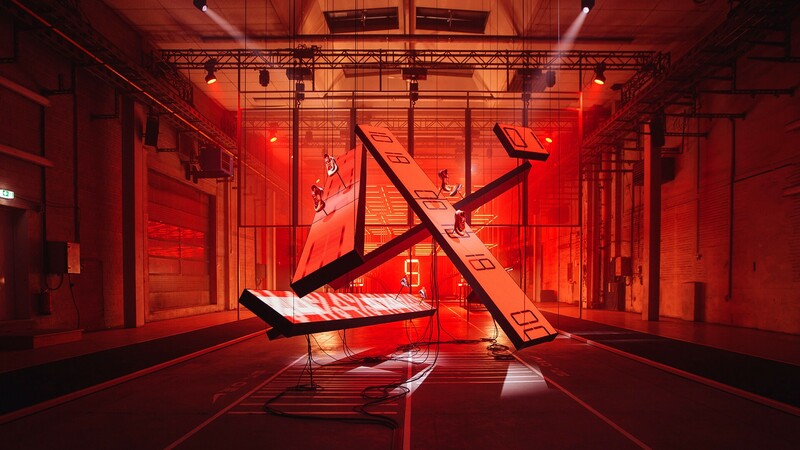 For the opening of the experience we produced a powerful breaking2 countdown trailer and a special treadmill light & sound choreography to welcome the guests. 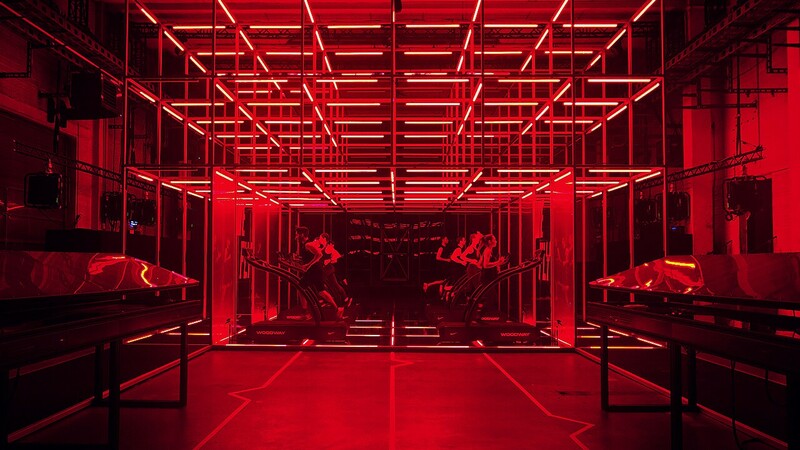 We composed two dark techno tracks – one for the trailer and one for the treadmill choreography - which enhanced the industrial feel of the installation and the performance.